Dr Andreas Kogelnik is the Founding Director of the Open Medicine Institute, a collaborative, community-based translational research institute dedicated to personalized medicine with a human touch while using the latest advances in medicine, informatics, genomics, and biotechnology. The Institute works closely with the Open Medicine Clinic and other clinics to conduct research and apply new knowledge back into clinical practice. Dr. Kogelnik received his M.D. from Emory University School of Medicine in Atlanta and his Ph.D. in bioengineering/bioinformatics from the Georgia Institute of Technology. Subsequently, he completed is residency in Internal Medicine and a Fellowship in Infectious Diseases at Stanford University and its affiliated hospitals. Following his clinical training, he remained at Stanford with NIH funding to engage in post-doctoral research in microbiology, immunology and bioinformatics with Dr. Ellen Jo Baron and Dr. Stanley Falkow, where he explored host-response profiles in severely ill patients. Together with Dr. Jose Montoya, he was instrumental in the conception, design, and execution of the EVOLVE study - a placebo-controlled, double-blind study of a subset of chronic fatigue syndrome patients with evidence of viral infection. Dr. Kogelnik worked with Dr. Atul Butte in translational informatics to determine patterns that indicated a high risk for adverse events in paediatric patients at Lucille Packard Children's Hospital. He is the Medical Director of the Open Medicine Clinic - a community-based research clinic focussed on chronic infectious diseases, neuroimmune disease, and immunology. Dr. Kogelnik has published numerous scientific papers and book chapters, is an Editor of Computers in Medicine and Biology, and is a Consulting Assistant Professor at Stanford University. With the Open Medicine Institute, he has led the formation of CFS and Lyme Registries and Biobanks as well as creating an infrastructure for providers to collect better data and implement clinical trials across a network of sites. Rakib Rayhan works with Dr James Baraniuk at Georgetown University, Washington, and is deeply interested in symptomatic development and chronification of pain and fatigue in idiopathic illnesses such as Myalgic Encephalomyelitis (ME), Gulf War Illness (GWI), and Fibromyalgia (FM). Understanding pain perception, autonomic and cognitive dysfunction in relation to abnormal functional and structural changes within the brain in GWI has been Mr. Rayhan’s specific focus for the 2 past years. He has discovered that white matter alterations in the right inferior-frontal occipital fasciculus are strongly associated with the severity and perception of pain and fatigue. In addition, he has identified two unique phenotypes based upon autonomic and hyperalgesic changes in response to an exercise-challenge. Changes in symptoms were associated with distinct patterns in working memory cognitive networks and discrete regions of brain atrophy. These recent discoveries have substantiated GWI as a central nervous system disorder. He is actively engaged in further pursuing a systems biology approach to the neuroimaging research by examining genomics, proteomics and metabolomics. His desire is to identify potential biomarkers that provide objective support to disease criteria and that are then translated into new and affordable therapies leading to a better quality of life for patients. Dr Clare Gerada is the first female Chair of the Royal College of General Practitioners in 50 years. 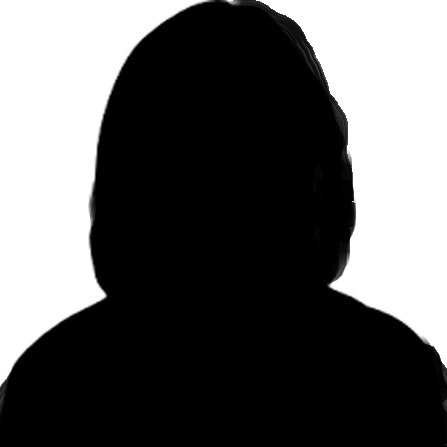 She is the daughter of a GP and studied medicine at University College London, qualifying in 1982. She trained in medicine, then psychiatry and became a GP in South London. That practice started in 1969 and remains on the ground floor of a 19-storey housing estate in Lambeth - now one of the largest GP group practices in London. She represented the Department of Health advising the Maltese Government on their drug policy. 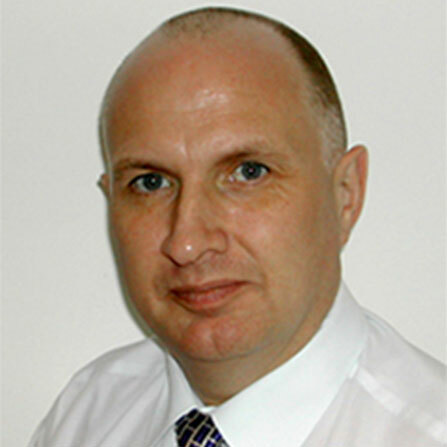 Over the years, Dr Gerada has held a number of local and national leadership positions, including Director of Primary Care for the National Clinical Governance Team and Senior Medical Advisor to the Department of Health. 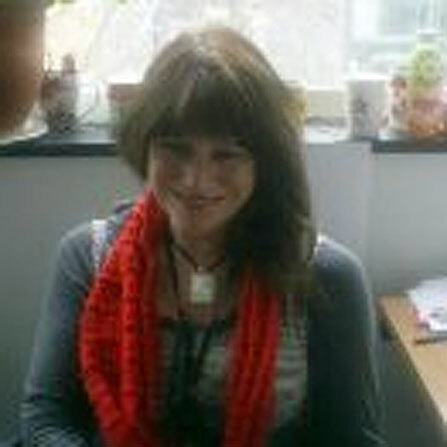 In 2008, she won the contract to run the Practitioner Health Programme (www.php.nhs.uk), a pioneering programme providing confidential services to doctors and dentists with mental health or addiction problems. 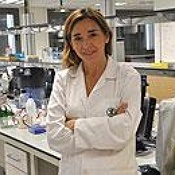 Dr Gerada has published a number of academic papers, articles, books and chapters and has strong links to three Royal Colleges. She is a Member of Royal College of Psychiatrists, Fellow of Royal College of General Practitioners and was awarded a Fellowship of Royal College of Physicians in 2008. She has a long involvement with the RCGP; she was previously Vice Chair of College Council and is immediate past Chair of the Ethics Committee and established the RCGP’s groundbreaking Substance Misuse Unit. Dr Gerada was awarded an MBE in the Millennium Birthday Honours for services to medicine and substance misuse. Dr Gerada is now chair of the Royal College of GPs. 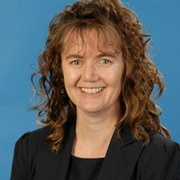 Dr Staines is a public health physician at Gold Coast Population Health Unit. 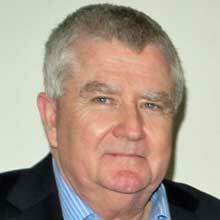 He has worked in health services management and public health practice in Australia and overseas. His interests include collaborative health initiatives with other countries as well as cross-disciplinary initiatives within health. Communicable diseases as well as post infectious fatigue syndromes are his main research interests. A keen supporter of the Griffith University Medical School, he enjoys teaching and other opportunities to promote awareness of public health in the medical curriculum. Professor Mella and Dr Fluge have published a paper "Benefit from B-Lymphocyte Depletion Using the Anti-CD20 Antibody Rituximab in Chronic Fatigue Syndrome. A Double-Blind and Placebo-Controlled Study". 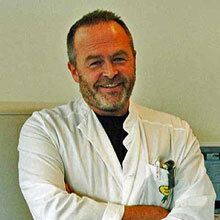 Dr Oystein Fluge received medical degree in 1988 at the University of Bergen, and is a specialist in oncology since 2004. 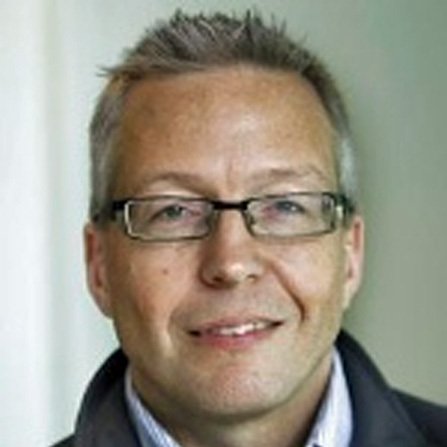 He has worked as a Research Fellow with support from the Norwegian Cancer Society and is now chief physician at the Cancer Department, Haukeland University Hospital. Doctoral work emanates from the Surgical Institute and Department of Molecular Biology, University of Bergen. 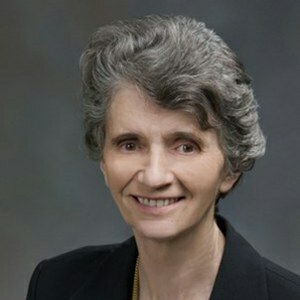 Executive Director of the Open Medicine Foundation. Execut [From OMI Website}: Before joining OMF Linda set up and ran a successful independent clinical laboratory for over 21 years. Linda left the clinical world to set up the Open Medicine Foundation because she has a passion to find answers via research. As a promise to their daughter, who has ME/CFS, Linda and her husband started their own non-profit, Neuro-Immune Disease Alliance (NIDA), as well as joined the board of Simmaron Research for the purpose of seeking out and helping to fund research for diagnoses and treatments for neuro-immune diseases. Linda is also a board member of the Los Angeles Breast Cancer Alliance (LABCA). 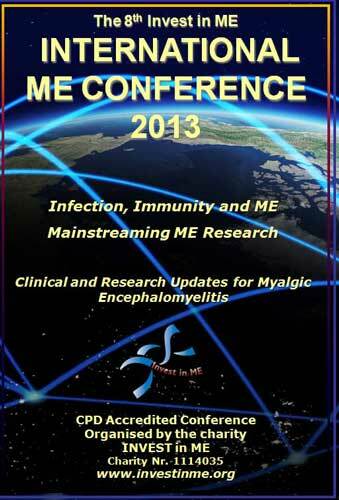 I was privileged to attend the 8th IiME conference in London on 31st May 2013. This conference was preceded by a one day symposium gathering together 34 clinicians and researchers from a number of countries. The presentations, brainstorming and discussion will, I am sure, lead to much collaborative research, sharing of ideas and furtherance of understanding of this complex and very serious illness. The conference itself was well attended by delegates from 11 countries, and was opened by Dr Ian Gibson. The conference began with an address by the keynote speaker, Dr Dan Peterson from Nevada,USA. He initially outlined some of the history of ME/CFS and reflected on the past. He explained that criteria for diagnosis were established 25 years ago, and emphasised the fact that a single set of criteria needs to be used internationally. He talked of the history of the illness from 1980 up to the present time. In the UK the prevalence has been estimated as up to 1-2% of the population. There is similarity in the symptoms, levels of severity and course of the illness worldwide. It is costly to treat: 9 billion US dollars in direct costs and 51 billion in indirect costs in the USA. The current accepted model of the illness is genetic vulnerability, an event such as infection, trauma, stress etc and mediators finally leading to a diagnosis of ME. He described 4 steps in management of illness generally: 1)a specific diagnosis, 2) assessment of severity and prognosis, 3) therapy and 4)assessment of effectiveness.. This model does not fit ME. There is no biological marker, no definite drug and no endpoint. He went on to describe the recent FDA stakeholders’ meeting in the USA. Points discussed included the general nature and extent of the disability, lack of treatment and acknowledgement of much research accomplished. The take- home messages were the fact that one does not necessarily need a biomarker, it takes 8-15 years for drug development, a drug can be approved or withdrawn, a drug can be re-purposed, and validated endpoints are needed. Potential solutions can involve computational analysis (genetic, not just biological), work with novel pathogens (samples needed from various tissues), immunological biomarkers (defining subsets), end point evaluation (e.g. approval of ampligen has been denied, but VO2 max approved as a suitable test for ME), drug development (e.g. rituximab needs large trials in multisites). In summary he expressed the importance of the need for worldwide collaboration, definition of the mechanism of the disease and establishment of centres of excellence. Dr Andreas Kogelnik, (Stanford, USA) founding director of the Open Medicine Institute spoke of the changing world involving the IT revolution, the social information revolution and the biotechnology revolution. This has all changed the way we look at medicine. He describes this as a health/disease revolution. He provided some graphs of how things have changed. e.g. – the number of processors on a chip has doubled every 18 months since 1981, while the cost per megabyte is decreasing from $700 per megabyte in 1981, to less than 2c per megabyte now. There are 2 cell phones for every individual in the USA. There are now many wearable devices for evaluation of physiology, such as In POTS patients this can include continuous measurements, so that it is easy to document activity etc efficiently and accurately. 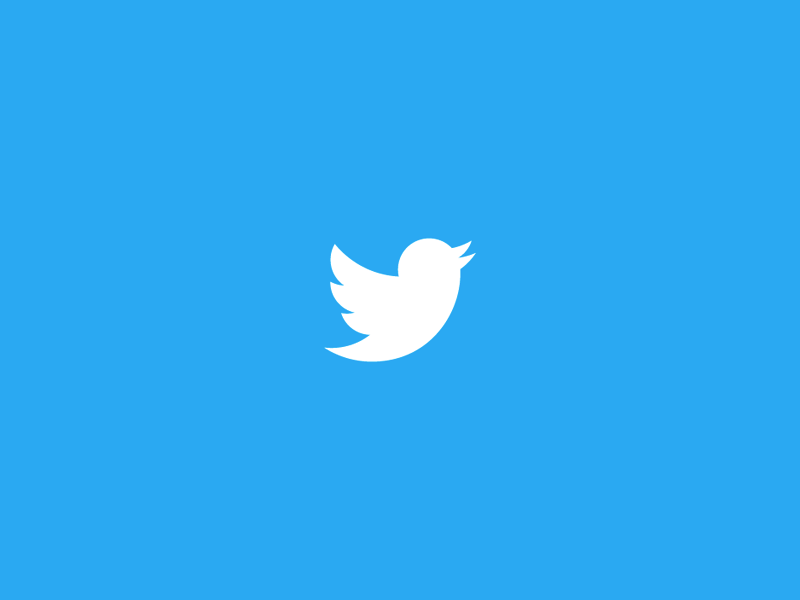 Social networking has also had an impact on medicine – e.g. 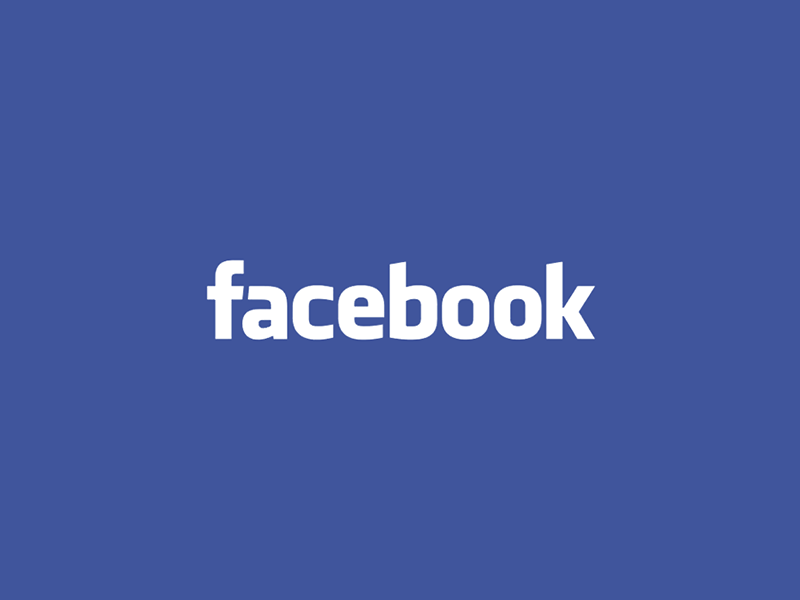 there are 1 billion facebook users worldwide, so that people can get medical information this way. Biotechnology has increased explosively in relation to storage. The cost of mapping the human genome is decreasing rapidly and now one can pull out a huge amount of data for $20,000. It is becoming possible to cluster and regroup patients by moving into a molecular level. There are 5 stages for acceptance of a new idea: 1)Irrelevance, 2)Relevant but unproven, 3)Proven but dangerous, 4)safe but not saleable and 5)It will sell – great idea! ME has largely been ignored as there has not been enough data. The current state of the science is that there are a lot of hypotheses, there is a start on data, there are willing people to collaborate, we have measurements that have not yet been applied to ME and there are patients willing to help. Measurements need to be broad and deep and there must be large numbers of people engaging. Kogelnik then went on to describe the MERIT initiative. They had a roundtable discussion in New York in June 2012 with 25 clinicians and researchers gathered. The result was a list of priority targets for collaborative research, which could lead to open collaboration and a worldwide plan. As a result 10 research projects are being established. 6. DNA studies: whole genomes, HLA sequencing, DNA methylation. 10. Non-pharmacological studies, which need standardisation. One arm is looking at the evaluation of how Moringa affects NK cells. Included also are projects looking at insurance issues and also possible related diseases (Lyme, autism). 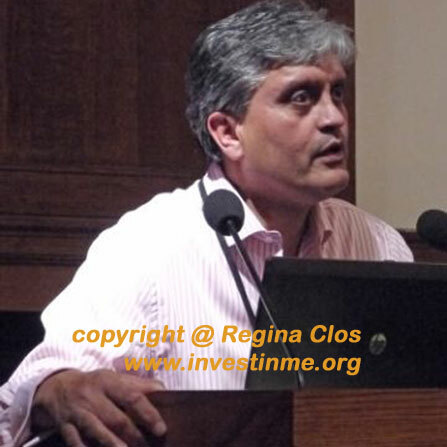 Rakib Rayhan (Georgetown, USA) gave an overview of Gulf War Illness (GWI), which is closely related to ME/CFS. The first Gulf War was in 1990-91. There followed an excess prevalence of veterans with generalised symptoms and also recognised medical conditions. By 1991 there were many with ongoing illnesses with no firm explanation and these people were initially labelled as psychosomatic or malingerers. However it was established eventually that oil fires, smoke, incomplete combustion and fire particulate materials maybe responsible. A task force was established in 1997 to look into GWI. Sarin (an anti-cholinesterase inhibitor) and pyridostigmine use was investigated. Many other possible causes of a complex nature were investigated, such as involvement of pesticides and other chemicals. 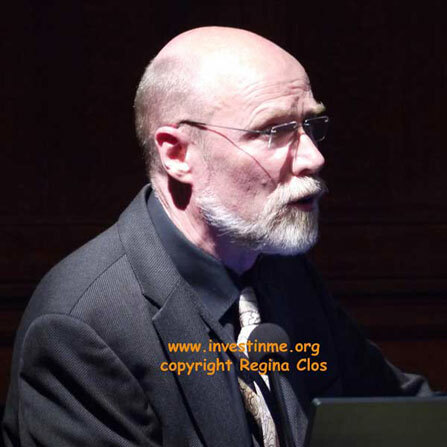 Professor Greg Towers (London, UK)) has studied the lifecycle of retroviruses and spoke on the relationship between retroviruses and ME. He went through the reasons as to how and why XMRV is not a human pathogen, but a mouse gamma retrovirus. He outlined the initial prostate study which had described XMRV as being present in prostate cancer. He outlined the basic steps of retroviral replication, and explained how endogenous retroviruses get into the genome. He showed how cells will grow if injected into mice but not in a laboratory dish. Excitement originally arose because if XMRV had been implicated in ME, it could lead to potential diagnosis and treatment. After the original XMRV discovery by the Mikovits lab, there were a series of negative studies, and the subsequent conclusion that XMRV was a laboratory contaminant. Towers had looked to see where the ancestral strains had arisen. The cell line had come from mice, and was then intermingled with the human line. They were not separate sources. The Lipkin study provided the final closure using 150 patient samples and 150 controls, analysed blinded in different centres. There were no differences between samples and controls, and it was finally concluded that XMRV is not a human pathogen. It is a mouse virus generated around 1994 and not aetiologic of ME. Genetic evidence can be used to determine origin. It was also concluded that PCR is very sensitive and needs to manage inevitable contamination. Towers emphasised that “This should not ever happen again” and new pathogens need more rigour. Mady Hornig (New York, USA) The next presentation was from Professor Mady Hornig (New York, USA). Her focus was on pathogen discovery in ME, in particular in relation to pathogens implicated in brain disorders. She looked at the role of microbial, immune and toxic stimuli in the development of neuropsychiatric conditions including, autism, PANDAS (paediatric autoimmune neuropsychiatric disorders associated with streptococcal infections), mood disorders and ME. She described a 3-strike hypothesis involving genetics, environment and effects on the foetus. She used the risk of schizophrenia after cannabis exposure as an example. The exposure alone does not lead to the disease – there needs to be genetic susceptibility. In ME, it is unlikely there is a single agent. Many other disorders have an immune generated pathogenesis. In 1957, the autoimmune concept associated with disease was proposed by Witebsky. In ME, early evidence associated with onset may not be available. There may be direct evidence of effects at infection sites. Replication may cause cell damage, toxins may alter physiology an there may be effects distal to the infection site. Host responses may influence outcomes. Interference with differentiated cell function and molecular mimicry may occur, and there may be long term effects of infection. Infection may be “hit and run”. In MS there are for example geographic regional effects also. Microbes can condition the immune system via the gastrointestinal tract. Gut microbiota can modulate brain and behaviour, leading for example to effects on sleep and alertness. CNS function depends on a balance between the immune system and stress responses. There is memory dysfunction if the pathways are not operative. Other studies by Hornig have shown no association between measles virus and autism or bronavirus in schizophrenia. She has however found reduced ileal enzymes, which may lead to failed uptakes of precursors of anti-oxidants. This can lead to oxidative stress. She has several ongoing ME studies relating to this, including looking at the timing of flu and enteroviral infections. She had a brief look back at some of medical history – at how duodenal ulcers were originally thought to be stress related, and were later shown to be due to H.pylori infection. And quotes from Einstein relating to exam questions – when a student asked why the questions to the current year’s exams were the same as last year, he was told, “but the answers will be different this year “ – showing us that medical science is constantly in a state of change. Dr Clare Gerada ( London, UK)is now the chair of the Royal College of Physicians (UK) – and she spoke about the government NHS reforms and implications for long term conditions such as ME. The RCGP is the voice of 48,000 GPs in the UK, and has just celebrated its 50th birthday. The aim of the reforms is to build bridges and improve the lives of patients, particularly those suffering from chronic disability. She described general practice as the oldest branch of medicine, and as a GP herself, she has seen many changes in general practice and in the NHS over the past 3 years. The aim of the GP (as quoted by her own GP father) should be to give something back to the community, listen, and be there for patients. One million patients are seen in Britain daily by GPs. General practice is under great strain. There is lack of money and manpower, and it is hard to deliver the standard of care needed from cradle to grave. The whole health service is under pressure too because of the ageing population and increasing demands on services. There are more complex problems with age and this can be time consuming. What matters most is continuity of care. The patient also needs to learn to help manage their own condition. There is a need for development of integrated services. Ideally the GP needs access to a multidisciplinary team. The NHS has had a huge reorganisation, and all existing structures were dismantled. There has been rebuilding with monumental cuts, which has led to exhaustion and demoralisation. GPs have now been relegated to local groups, and healthcare is then bought for these populations. There are many social changes, and public health is being run by local governments. In relation to ME, very few GPs fully understand the illness, as there are so many illnesses and so much detail to learn all the time. It is an illness that needs specialist care, as is far too complex and time consuming for the average GP. However the RCGP is trying to improve things by providing online education. 500 GPs have downloaded the latest training module which should give greater understanding. The new NHS act will hopefully gradually improve things in the UK. Bridge building between the GP and patient is needed, and acknowledgement of the illness is slowly improving. Dr Don Staines (Gold coast, Australia) then presented an update on the work by Sonya Marshall-Grasilnik, who was unable to attend the meeting. He outlined the new research being undertaken at Griffith University, where there is a dedicated ME research facility, which includes a 3 bed unit for 24 hour stay. He stressed the importance of getting immunological and molecular markers for this multi-system disease. He outlined natural killer cell (NK)l function showing the release of lytic proteins: perforins and granzymes (A and B). Studies show that NK cell function declines over time in ME. CD107a is a NK marker for lysis, and granzyme B is down in ME. Several dimensions show impaired function in the immune system in this illness such as: CD56 (bright) down, CD8 lysis down++, reduced respiratory burst in neutrophils and high levels of HNA2. There are also a number of significant differences in microRNA in ME. mRNA CD8 cells show consistent abnormalities. He asked the question – is ME an auto-immune disease? Other abnormal results from their lab included upregulation of T-reg cells in the adaptive immune system – this could be a potential biomarker, and helps to suppress inflammatory mechanisms. No differences were found in gamma-delta cells, but this will be redone. B cell phenotypes showed reduced immature cells, despite increased memory and increased plasma levels. Plasmacytoid dendritic cells were elevated. Conceptual paradigms were outlined in the innate and adaptive immune systems, whose components are initiated in response to an adaptive pathogen. Results indicate potential hallmarks of autoimmunity. There are clear derangements in the immune system, and he reiterated the fact that such major changes will never be fixed by “exercise”! It is important to note that severe patients were included in these studies by going into patients’ homes to take the blood. Clinical immunology and research on B cell abnormalities in ME was discussed by Dr Amolak Bansal (Surrey, UK). He talked about immune dysfunction and autoimmunity. He looked at a long list of potential causes of ME, with interaction of the various systems, and a list of predisposing factors. He showed that 10-15% patient do have joint hypermobility. There is a slight familial tendency and relationships to personality and race. Fibromyalgia, IBS and MCS all can co-exist. There is often a past history of mood disorders. Triggers can include infection, stress, vaccinations, injury, major life events etc. Factors which adversely affect the illness include sleep abnormality, over-activity, infections, anxiety and depression, inactivity, iatrogenic illness, illness beliefs, pessimism and loss of confidence. He said that persistent stress can have an adverse effect on the immune system, stimulates the hypothalamo-pituitary axis and increases cortisol levels. Stress raises the predisposition for autoimmunity, upregulates the Th2 mechanism and downregulates Th1 and T-regs. Many symptoms occur associated with viruses and ME, but there is no evidence of overt antibody, complement or neutrophil change. There is NK cell immunodeficiency. There have been very few useful studies looking at the immune abnormalities in ME. There are no abnormalities on routine tests. Occasionally increased atypical lymphocytes are seen. CRP is usually normal. Altered NK function is not always found. There are many inconsistencies. This may be due to use of different criteria, varying severity of illness, roles of exercise, sleep and stress, different methods and technologies used and the timing of tests. Bansal asked several questions: What is the role of exaggerated receptor solubilisation, and cytokine/cytokine receptor autoimmunity in this illness? Are patients generating antibodies? He had looked at many immune parameters for antibodies and all were negative. However, transitional B cells were elevated in ME patients, plasmablasts reduced and naïve B cells increased. Some cytokines were abnormal and there were some T cell subset abnormalities. His conclusions were: 1) B cells not being regulated properly, 2) No evidence of autoimmunity to presently recognised organ specific and neuronal antigens, 3) reduced antiviral cytokines, 4) Impaired T lymphocytes and 5) increased T viral effector cell numbers. There is possible B cell dysregulation initiated by a virus, the B cells may produce autoantibodies, which can contribute to arousal mechanisms. They may target the mitochondrial proteins, leading to post-exertional malaise. Removing the autoantibodies reduces symptoms, but there is need to suppress the activity of the viruses, which encourage survival of autoreactive B cells. Antivirals such as acyclovir and valcyte may be useful. He summarised by reiterating that this is a very complex disease. The immunological basis of ME was addressed by Professor Carmen Scheibenbogen (Berlin,Germany). She explained how we are looking for the missing pieces of the jigsaw. There is evidence for immune mediated disease in the clinical picture, the laboratory finding and the efficacy of immunological treatment with drugs such as rituximab, ampligen, immunoglobulins and interferon alpha. There are controversial phenotypes immunologically in ME. Elevated T-regs and low NK toxicity are reproducible. There is some immune activation and some immunodeficiency. She discussed cytokine analysis undertaken by Luminex. In further studies, 50% of patients were found to have elevated T cell function with a Th1 to Th2 shift. Phenotyping was done by flow cytometry and there was T cell activation in 2/3 of the patients. There was lymphopenia in a subset of the patients. Polyclonal immunoglobulin was elevated in 25% of patients and there was evidence for immunodeficiency in a further 25%. There was MBL deficiency in 15% (and 7% in controls) – making these patients more prone to infection. There was evidence for ongoing infections with herpes viruses. A subset of patients (those with onset associated with EBV and those with recurrent herpes lesions) who improved on valaciclovir. She recommends trying a course in these patients. Some patients may have ongoing EBV activation. The data is controversial as there may be enhanced or diminished EBV responses. The team had done EBV sero-array and measured antibody response against more than 2000 peptides from EBV. There was significant difference between patients and controls. The conclusion was that there are some distinct entities corresponding to different types of the illness. There is evidence for activation, deficiency and non-immune ME. B cell lymphocyte depletion in ME has previously been reported by Dr Oystein Fluge and Professor Olav Mella (Bergen, Norway) and as yet there is an embargo on disseminating their further research as it is awaiting publication. 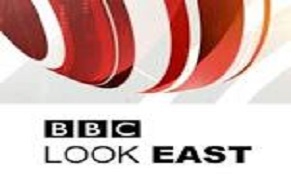 A further report on their findings will be added following journal publication. They described again the studies undertaken up until 2011, when initially 3 lymphoma patients with ME had responded to the B cell depleting drug rituximab. 2 infusions had been given 2 weeks apart (500mg/m2). A further study was then undertaken with 30 subjects (15 patients and 15 controls). 67% of patients had positive results and only 13% of controls. No major toxicity or adverse events were described. Duration of response was 8-44 weeks, with 2 patients having no relapse to date. In the majority of patients relapse occurred over time. Further studies to be reported in the literature very soon include 26 patients being followed over 28 months using rituximab with a different drug regimen, and a further 8 very severely ill patients. Towards the end of the proceedings, Ellen Piro (Oslo, Norway) presented Invest in ME with a special award acknowledging all the effort in organising these conferences, bringing together so many distinguished researchers and clinicians from around the world, encouraging collaborative research and enabling patient participation. 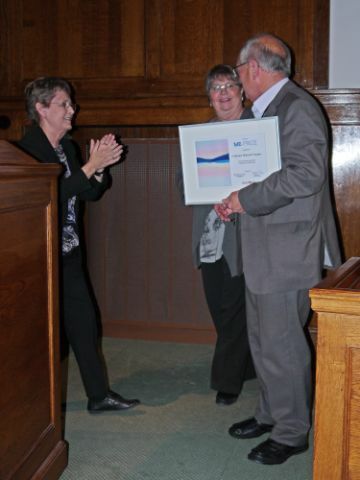 An award was also given to Professor Malcolm Hooper for his great efforts over the years. I would like to add my thanks to all these people, and in particular to both Invest in ME and the Alison Hunter Memorial Foundation. I must also thank ANZMES for giving me the opportunity to attend such a wonderful event. The main theme of this conference focused on the three burning questions which all ME sufferers want answered, namely what causes ME, what is being done to discover this cause and what treatments might be effective? What was very encouraging was the impressive cast of speakers from around the world whose scientific credentials could not be challenged. Happily, none of them were psychiatrists, as gradually the psychiatric, biopsychosocial theory of ME causation is being consigned to the dustbin of history. There is now far too much high quality scientific evidence indicating that ME is due to immunological dysfunction and many of the speakers stated this principle very forcefully. There were four main categories of speaker. Firstly there were those who talked about the organization of studies, which included the collection and computerisation of data (such as case histories) and biological material (such as blood and other body fluid samples). Clearly, in the USA at least, work of this nature is now getting off the ground and a large effort is being made to establish a “biobank” of biological materials from patients which will be made available to researchers. Here in the UK a biobank has already been set up, based at the London School of Hygiene and Tropical Medicine to where blood samples are being sent for cold storage. Secondly there were the immunologists who described the immunological abnormalities seen in ME patients. One of the frustrations with ME is that, although there are always across-the-board abnormalities, those seen are never as consistent as they are, for example in AIDS where one particular type of immunologically active cell is consistently reduced. However one of the speakers came out with the opinion that: “if any doctor now thinks that these abnormalities are due to psychological disorder and that exercise is the cure, he/she should be deregistered” (He was from Australia). One phenomenon which is now well recognised is the “cytokine flare” which follows physical (and mental) exercise. Cytokines are substances produced by the immune system as part of a normal immune response to the presence of an invading bug, be it a virus or bacterium (or other, such as a malaria parasite). Interferon is the one most people have heard of. They make you feel ill as part of the body’s normal defence against infection. In ME however they appear to be produced inappropriately, and go on being produced in the apparent absence of a recognisable infection. Furthermore there is an abnormal increase - “flare” - after exercise which now explains the problem of post exertional malaise. Here, at last, is direct evidence that Graded Exercise Therapy (GET) is very likely to be harmful. Thirdly the issue of a possible virus infection was addressed. This would provide a logical explanation for the ongoing immunological activity – finally identifying the metaphorical fire from which all the immunological smoke was coming. The XMRV story was reviewed and provided real insights into the complexities of identifying a “new” virus. The term “new” meaning hitherto undiscovered, as it is fully appreciated that there are probably very many undiscovered viruses out there in the biological ecosystem, often being carried silently (ie without illness) by a large range of animals, including humans. The disease -causing potential of these viruses is unknown and may have very long incubation periods with infection preceding the development of disease by many years. For example It has been suggested that Parkinson’s disease is due to such a virus, and the same may be true of ME. As many will know, XMRV was finally recognised as a contaminant of the cultures in which attempts were being made to grow a new virus from samples taken from ME patients. The initial excitement over the discovery of XMRV was dampened when this was realized, but has not deterred the search for other viruses. To apply historical perspective, when influenza was first researched, a number of bacteria and viruses were initially but incorrectly proposed as the cause before the real villain was identified. Some very sophisticated techniques are now being used in the search for the real ME villain, one candidate being a form of retrovirus known as a “human endogenous retrovirus” (HERV). These are viruses which are already present in human genes, and usually inactive (ie not replicating). Nonetheless they probably can be turned on again and they have been postulated as causes of a wide range of diseases, including cancer and autoimmune disease. Thus ME may well be due to a HERV. Finally there was a presentation of the Norwegian study of rituximab therapy which shows promise in the treatment of ME. Twenty of twenty eight patients improved significantly although there was a lag period of two to three months before improvement occurred. Rituximab specifically targets the CD20 lymphocytes, taking them out of circulation but well before symptomatic improvement – suggesting that it is antibodies produced by the CD20 cells which cause the symptoms, but which require the 2-3 month period to clear from the body. This study on its own supports the immunological hypothesis of causation, further diminishing the psychiatric attribution of an “abnormal illness belief”. Rituximab does however have its drawbacks. It is potentially very toxic, also very expensive and no UK doctor would be able to prescribe it for ME at present. Further studies are in progress. Dr Peterson said that the healthcare system is not geared for these types of patients. In the past these patients would have been cared for in hospitals with alimentary treatments but now the cost is prohibitive. Dr Staines said the situation is bizarre as normally the most severe patients in any illness get most attention and are hospitalized but in ME the situation seems to be reverse. The Australian Marshall-Gradisnik research group has included severe ME patients in their studies but have not found any differences in the immune system parameters in groups rated according to severity. Dr Staines pointed out that ME is however a multisystem illness and the immune system is only one part of it. The Griffiths University, where the Marshall-Gradisnik group is located, also has beds for patients so that they can include severely ill patients in their studies as well as monitor patients for 24 hours or more. This is something that should be possible elsewhere too. Doctors simply do not know what to do with these patients so there is an urgent need for education. "While it is presently very difficult for modern medicine to fully explain all severe ME symptoms, disordered neural function within the brain and spinal cord would come close. How this occurs is unknown but there are counterparts in certain newly described autoimmune conditions and viral infections of the nervous system. In addition to a direct stimulation of neurones in different parts of the brain and spinal cord there is also an impaired filtering function of the brain stem and a reduced threshold for neurones to fire off. This allows external stimuli such as movement, light, sounds, touch and sometimes even worrying thoughts to produce widespread neuronal activation with ultimate excitotoxic damage to these cells. The consequence is impaired activity of the brain generally but particularly the hypothalamus and prefrontal cortex leading to fatigue, disordered sleep, impaired memory, attention, faintness, palpitations, disordered respiration, temperature dysregulation etc. Outwardly many patients appear well and routine blood and other investigations are normal. Internally there are severe symptoms which, if unchecked, escalate leading ultimately to immobility and increasing pain and spasms in a proportion of patients. Clearly a greater understanding of this highly disabling condition is required with a greater focus on disrupted immune and neural pathways and not just psychosocial factors as has previously been the case." 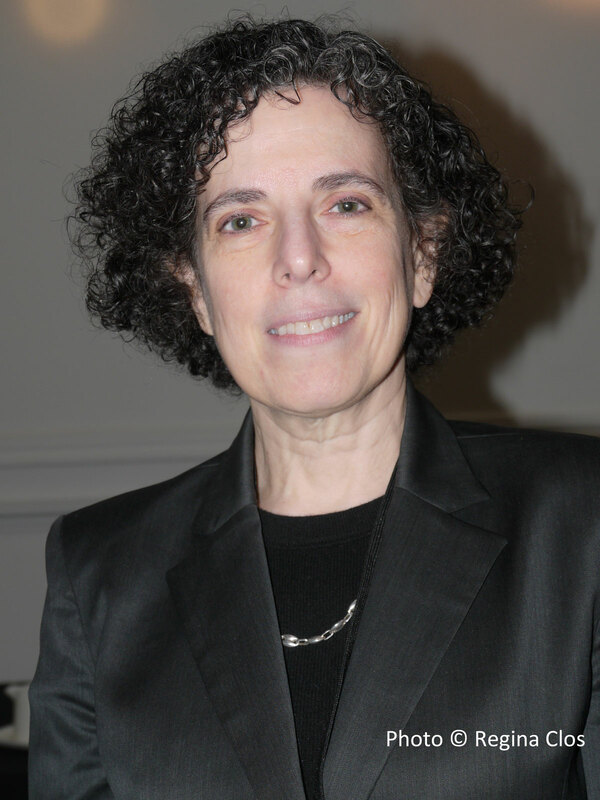 The DVD contains 4 discs and is in PAL format- containing the full presentations from the 2013 conference plus plenary sessions, and the pre-conference dinner keynote speech by Linda Tannenbaum. 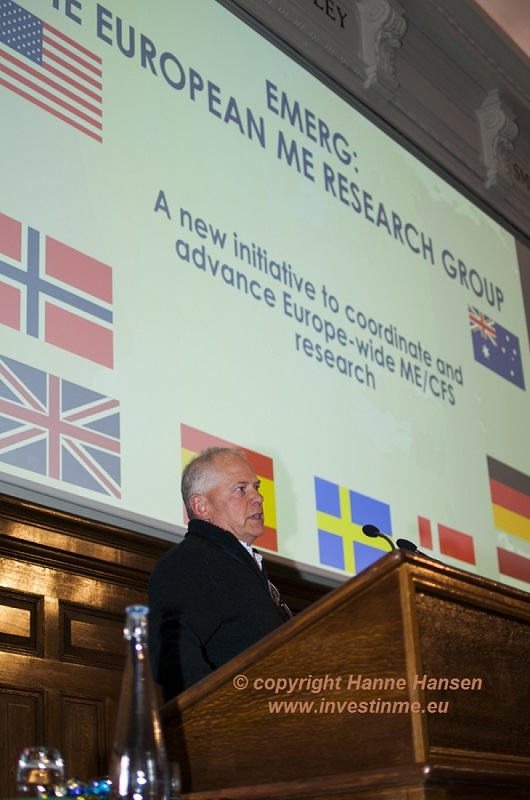 In order for our research strategy to be continued Invest in ME again made the commitment to fund, organise and host the Biomedical Research into ME Colloquium - this time number 3 - in London. This aimed to continue the international collaboration which had been established by Colloquiums 1 and 2 in previous years. It also aimed to gain support for our plans for a UK rituximab clinical trial and support of the Norwegian research. Also the charity had announced the beginning of the UK gut microbiota studies at UEA/IFR now that the funding target had been achieved. The research meeting was held in London and preceded the IIMEC8 annual international biomedical research conference. Invest in ME wish to thank the following organisations for helping to sponsor the 8th Invest in ME International ME Conference 2013. RME made a donation to help with the costs of the conference and we would like to thank them for their welcome support.